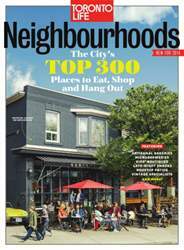 The third annual TORONTO LIFE guide to dining, drinking, shopping and carousing in the city's hottest pockets. 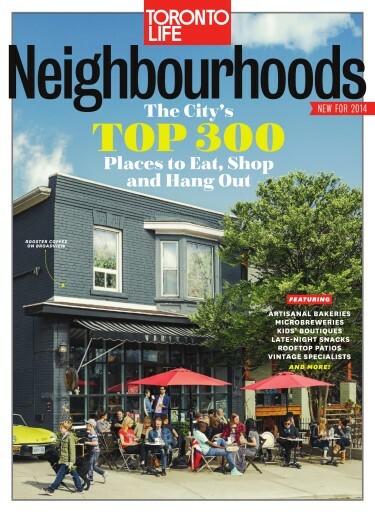 Focusing on 27 Neighourhoods featuring 300 recommendations, TORONTO LIFE provides a guide to the best hyper-local rituals, restaurants and shops. Including the top artisanal bakeries, microbreweries, kids' boutiques, late-nite snacks, rooftop patios and vintage specialist. Plus, recommendations from notable locals on all the spots necessary for a perfect Saturday.